REDMOND, Wash.--(BUSINESS WIRE)-- Nintendo has prepared a massive lineup of new games and products for the 2014 holiday season. The lineup includes new entries from some of the biggest franchises in gaming, new hardware bundles for Wii U and Nintendo 2DS, and new amiibo interactive figures featuring some of the most iconic characters in the world of video games. The holiday shopping season begins today for Nintendo fans, as the first 12 amiibo interactive figures become available for pre-order at a suggested retail price of just $12.99 each. The first dozen characters available for pre-order at select retailers are Mario, Peach, Link, Samus, Yoshi, Donkey Kong, Pikachu, Kirby, Fox, Marth, Villager and Wii Fit Trainer, with more on the way in the future. "Nintendo's holiday offerings demonstrate a combination of fun franchises and great value," said Scott Moffitt, Nintendo of America's executive vice president of Sales & Marketing. "With Wii U and Nintendo 2DS hardware bundles, classic names likeSuper Smash Bros., Bayonetta and Pokémon, new IP like Captain Toad: Treasure Tracker, andamiibo, everyone will find something to love about Nintendo this holiday season. Whether people are shopping for themselves or they're prepping their gift lists, Nintendo has them covered." Super Smash Bros.: The Wii U game and the first portable game in the series are getting ready for their debuts. Super Smash Bros. for Nintendo 3DS launches Oct. 3, with Super Smash Bros. for Wii U following during the holiday season. Fans who register both Wii U and Nintendo 3DS versions of the games with Club Nintendo will receive theSuper Smash Bros. for Nintendo 3DS & Wii U: Premium Sound Selection,a soundtrack CD packed with music taken from and inspired by the games. More details about this offer will be provided in the future. Also, in a separate announcement this morning, Nintendo revealed that Shulk from the Xenoblade Chronicles franchise would be a playable character in both games. Pokémon: Pokémon Omega Ruby and Pokémon Alpha Sapphire for Nintendo 3DS will hit stores and the Nintendo eShopon Nintendo 3DS on Nov. 21. Trainers will catch, battle and trade Pokémon as they immerse themselves into a grand tale that draws ever closer to the heart of the secrets behind Mega Evolution and the power of Primal Groudon and Primal Kyogre. With beautifully rendered graphics and new challenges to overcome, these games are a true evolution in the Pokémon series. Interactive amiibo Figures: Nintendo's foray into the toys-to-life category starts today, with the first 12 amiibo figures available to pre-order from select retailers. Super Smash Bros. for Wii U, which launches this holiday season, will be the first game with full integration of amiibo functionality. Other games that will support amiibo include Mario Kart 8, Captain Toad: Treasure Tracker, Mario Party 10 and Yoshi's Woolly World, with more to come. More details on amiibo functionality with the various games and a launch date will be revealed shortly. Bayonetta 2: The witch is back on Oct. 24. The game features over-the-top battles with wild weapons that take place in gorgeous set pieces. A new snake transformation lets Bayonetta better navigate underwater. The original Bayonetta game, complete with some Nintendo cosplay options for the powerful heroine, comes bundled with the retail packaged version of Bayonetta 2. Super Mario 3D World Deluxe Set: Starting mid-September, the new Wii U Deluxe Set will include the Wii U console and physical Super Mario 3D World and Nintendo Land games at a suggested retail price of $299.99. Walmart Exclusive Mario Kart 8 Deluxe Set: In mid-September, Walmart stores nationwide will offer a special-edition Wii U bundle that includes the console along with physical Mario Kart 8 and Nintendo Land games at a suggested retail price of $299.99. This exclusive bundle will be available while supplies last. New Nintendo 2DS Bundles: In early October, three new Nintendo 2DS bundles will hit stores. The new bundles feature the Electric Blue, Crimson Red or Sea Green Nintendo 2DS system along with a code to download Mario Kart 7 from the Nintendo eShop. The bundles will be available at a suggested retail price of $129.99 each. Captain Toad: Treasure Tracker: This holiday season, everybody's favorite intrepid explorer, Captain Toad, stars in his own quest through maze-like mini-universes – only on Wii U. Each little world Captain Toad visits is a unique microcosm filled with tricks to solve, traps to avoid and treasure to find. 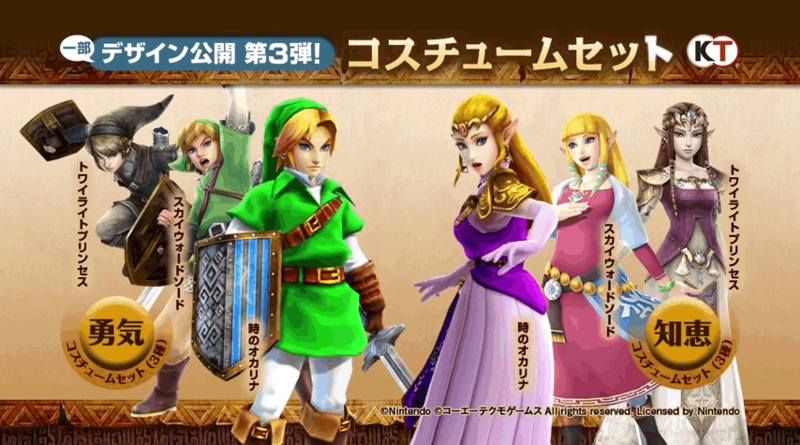 Hyrule Warriors DLC: This mashup of Dynasty Warriors and The Legend of Zelda already includes a large amount of content. Nintendo plans to support the game for the long run with more content to help players expand their adventures even farther. That program kicks off when the game launches on Sept. 26. People who buy the game will receive access to a free download that adds a new mode, a new weapon and the option to select music to add to the Hyrule Warriors experience. 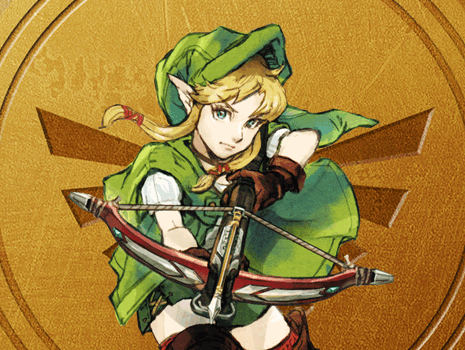 As detailed in a recentNintendo Direct, consumers who pre-order the game at select retailers will receive a free download code for a set of alternate in-game costumes for Link and Zelda. Additionally, anyone who registers the game with Club Nintendo will receive a free download code for a set of alternate costumes for Ganondorf. All of these additional costumes will become available for purchase in the Nintendo eShop in the near future. Further details on timing and pricing will be announced at a later time. Pokémon Art Academy: This Nintendo title is coming to stores and the Nintendo eShop on Nintendo 3DS on Oct. 24. The game teaches basic and advanced art techniques throughout 40 lessons and encourages artists to draw their favorite Pokémon and bring them to life with a large variety of tools. They can also share their Pokémon masterpieces by posting them to Miiverse, or saving them to the SD Card and printing them out. Art Academy (working title): This new entry in the Art Academy franchise is a download-exclusive application that incorporates the touch screen of the Wii U GamePad controller. Users learn, create and share with in-depth step-by-step lessons accessible even to novice artists, using the large Wii U GamePad screen as the canvas. The game is scheduled to launch in 2014. Ultimate NES Remix: This new Nintendo 3DS game will be available in stores and in the Nintendo eShop on Nintendo 3DS on Dec. 5 at a suggested retail price of $29.99. The game features rapid-fire challenges and mashups from a selection of 16 of Nintendo's finest 8-bit games. Regional online leaderboards will let players see how they stack up against others in their area, and Championship Mode offers a series of challenges from three different games. NES Remix Pack: Wii U fans can also get into the 8-bit mix on Dec. 5, with a new game that combines the original NES Remixand NES Remix 2 games for Wii U into one package. NES Remix Pack will be available in stores at a suggested retail price of $29.99. Both NES Remix and NES Remix 2 games remain available in the Nintendo eShop on Wii U for $14.99 each. Fantasy Life: Available in stores and in the Nintendo eShop on Nintendo 3DS on Oct. 24, Fantasy Life lets players become the masters of their destinies as choices they make help determine their own Fantasy Life. Players can easily change their Life Class at any time and experience how each offers a new perspective on the world. Local and online multiplayer options let friends share the adventure, the exploration and the bounty. A downloadable content pack called Origin Island – available for purchase from the Nintendo eShop starting on Oct. 24 – will extend the Fantasy Life adventure even further. Origin Island offers a new area that is home to an ancient culture and powerful enemies, additional story content, new ranks to achieve in Life Classes, access to even more powerful equipment and two new varieties of pets to adopt: birds and dragons. Two Deluxe Downloadable Kirby Games: Bounce or battle with two new titles available today at $6.99 each in the Nintendo eShop on Nintendo 3DS. Dedede's Drum Dash Deluxe and Kirby Fighters Deluxe are standalone downloadable games that first made an appearance in Kirby: Triple Deluxe,and are now updated with enhanced game-play features. In Dedede's Drum Dash Deluxe, players move Dedede across the stage, bouncing to the beat in seven new stages exclusive to this downloadable version. InKirby Fighters Deluxe, players use different copy abilities to defeat all of the arena opponents. This version includes five new stages and a new team battle feature. Players who already own Kirby: Triple Deluxe with StreetPass data will get bonus content in both downloadable games. Curve Digital's Stealth Inc 2 combines the best elements of puzzle solving, action platforming and stealth game play into a game that's all about hiding in the shadows. The game includes a two-player co-op mode, level editor, off-TV play and Miiverse integration. The game launches for Wii U in the fall. Swords & Soldiers II is a side-scrolling action strategy game from Ronimo Games launching this holiday season for Wii U. The game includes 20 story missions and lets players buy units, cast spells and build structures to overwhelm enemies on a 2D battleground. Azure Striker GUNVOLT from Inti Creates launches today exclusively for Nintendo 3DS. Featuring the talents of Keiji Inafune, the creator of the Mega Man series, the game takes the best aspects of Japanese 16-bit classics and updates them with new play mechanics and slick graphics. For a limited time, the game comes with a free digital version of the 8-bit nostalgia-fueled Mighty GUNVOLT as well. Third-Party Games: More than 60 games from Nintendo's third-party partners are launching for Wii U and Nintendo 3DS before the end of year, with more great content coming in early 2015. The 2014 list is highlighted by Sonic Boom: Rise of Lyric for Wii U andSonic Boom: Shattered Crystal for Nintendo 3DS from SEGA, which introduce two unique and epic adventures as Sonic and team work together to stop the evil villain Lyric. Players can play as multiple characters, each with his or her own abilities, as they explore, fight and speed through an undiscovered land. Each game features its own individual story and game-play features. Looking Ahead: Nintendo has a ton of great games on the way for both Wii U and Nintendo 3DS. In 2015, Wii U will see the arrival of a new installment in The Legend of Zelda franchise, Splatoon, Xenoblade Chronicles X, Yoshi's Woolly World, Kirby and the Rainbow Curse, Star Fox (working title), Mario Maker (working title), Project Giant Robot, Project Guard, Mario vs. Donkey Kong(working title), Mario Party 10 and Devil's Third. On the portable side in 2015, Nintendo 3DS will see the launch of a new NFC reader/writer that will interact with amiibo figures in compatible games, as well as the arrival of Code Name: S.T.E.A.M., Fossil Fighters Frontier and Monster Hunter 4 Ultimate, an exclusive Nintendo 3DS game from Capcom.